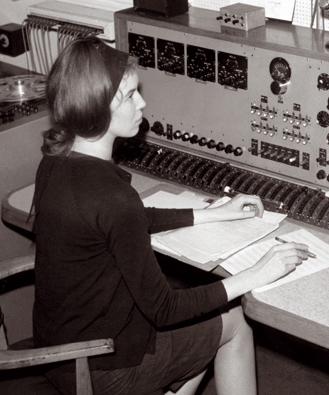 Thanks to Hadiza Mohammed, creator of the Women Rock Science Tumblr, for calling attention to mathematician, and electronic music composer Delia Derbyshire. Derbyshire realized Ron Grainer’s score for the theme song of the popular science fiction series Doctor Who, but never received credit or royalties for her work. Derbyshire’s obituary in The Guardian can be found here. If you’d like to hear more of her work, check out Last FM which has 15 examples of her music. This entry was posted in Electronic Music, Mathematics. Bookmark the permalink.